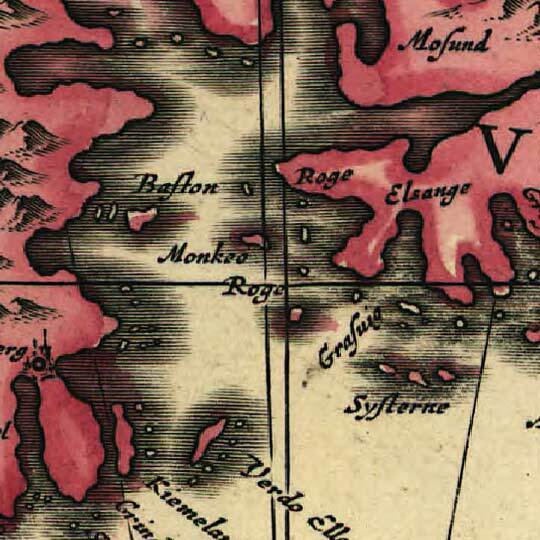 Jan Janssonius's map of southern Norway and the Skagerrak [gmap]. 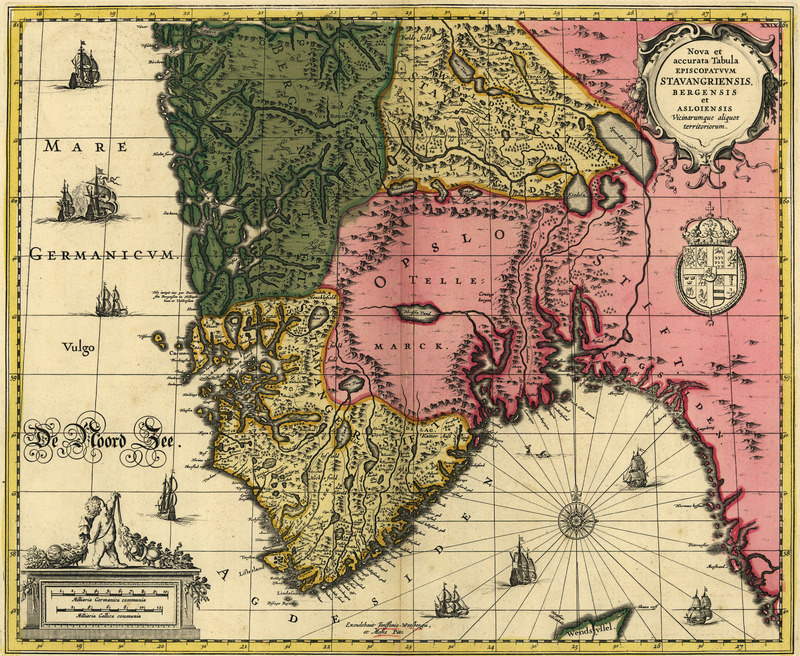 For more map resources and imagery from this period in 's history, check out the National Library of Norway's website. I think this is slightly older than 1700, since “Stavanger Stift” was changed to “Christianssand stift” in 1682, and Jan Janssonius’s wikipage says he died in 1664. On the wiki page, this map is said to have been made between 1636 and 1642. Very good catch, and thank you for your research. I suspect that you may be right about it being a reprint. The *LoC*’s stated provenance [link: G6943.R6 17.J3] has it listed as early 18th century, I vaguely remember cross referencing that with one other source (which I can’t find, now). But you’re absolutely right — couldn’t have been made by the man himself at the listed date. Most likely a reprint. Thanks much for the correction and for your efforts in researching it.